Almag+ is an advanced version of our flagship device Almag-01. 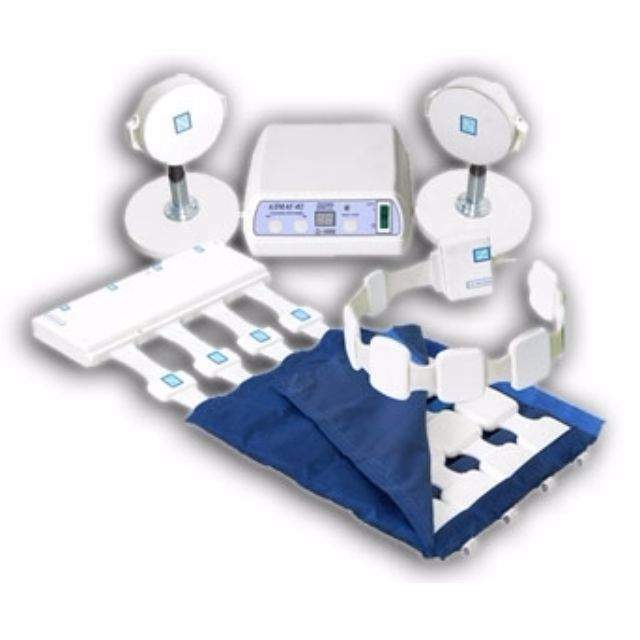 Centered around low-frequency magnetic stimulation, it is intended to provide pronounced physiotherapeutic effects due to the combination of traveling and stationary charges. 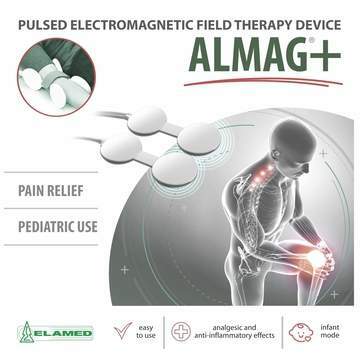 Almag+ is designed to treat a range of musculoskeletal disorders as well as cardiovascular diseases in patients of all ages, even in one-month-old babies. 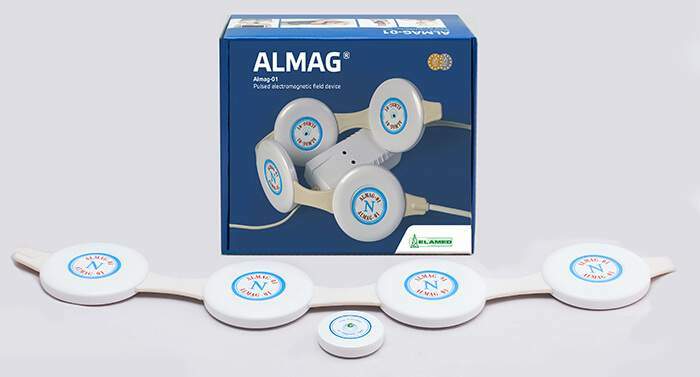 It can be used either at a medical care facility or home, meaning that you don’t have to be a certified specialist to benefit from the Almag+ treatment. 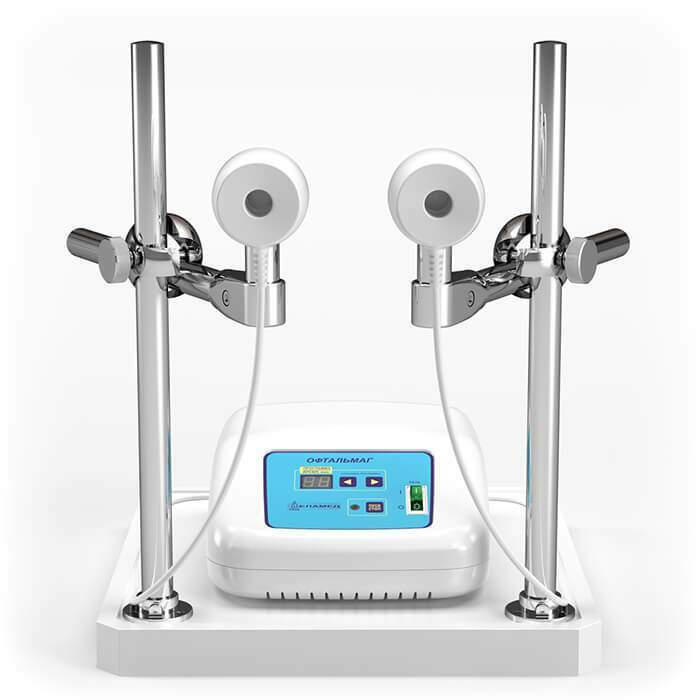 The Almag+ device consists of a pulse generator (control unit) and a 4-coil charge emitting system. Those coils are paired together using special fasteners and straps to form 2 sets (each set is made up of 2 coils) intended to be placed on a damaged part of the body. 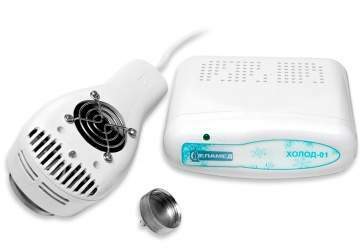 Once a treatment mode is selected on the control unit, the Start button should be pressed so that the device starts emitting magnetic pulses, penetrating tissues. This low-field stimulation can improve blood circulation, speed up recovery, reduce inflammation, relieve pain, detoxify the body, and help with many musculoskeletal diseases. The effects of the Almag+ treatment largely depend on the selected operation mode and severity of the condition. So, it’s recommended that you consult your physiotherapist to determine the most suitable mode for your case. Before receiving or administering the treatment with Almag Plus, be sure to read the Operation Manual that comes with the device. You will find more details on the recommended session duration, the range of frequencies, age-specific considerations, and treatment requirements in that document. special fasteners to make sure the device is placed securely. nerve root and plexus disorders. a cardiac pacemaker implanted in the area that needs to be exposed to magnetic stimulation. Please note that neither metals in or on your bones nor dental crowns fall under the category of contraindications. If this is your case, you can still use Almag+. ~120V (+6V; -10V) at 60Hz. ≤55 VA for a 120-V version. the weight of the device is less than 0.8 kg. 100/120 for an anti-inflammatory mode. 6±2mT/60±20G for an anti-inflammatory mode. The duration of a single treatment session is 20 minutes by default for all modes, whereas the idle time is 10 minutes. +45°C for a pulse generator. The average service life of Almag+ is 5 years. All outer parts of Almag+ are made of biomaterials. Also, they feature an increased level of chemical resistance, allowing you to apply medically approved disinfectants if necessary.